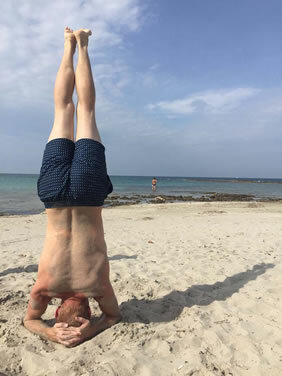 Join Italy Gay Travels on an exclusive Gay Yoga Retreat in the southernmost tip of Italy, known as Puglia. 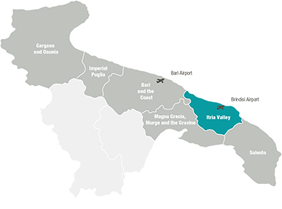 We will spend a full week in a typical Masseria (farmstead) set within acres of olive groves and nearby to stunning beaches. The farmstead is close to Ostuni, known as the ‘White City’ as it sits perched on the rocks overlooking the Adriatic Sea with acres and acres of ancient Roman Olive Groves as far as the eye can see. This magical and tranquil place is the perfect spot to relax and tune out from the noise of our constant fast paced lives! The retreat is designed in such a way that you can either choose this week to improve your practice and spend the rest of your time in a place that is totally restorative and meditational or you can engage in an array of optional activities to discover the magical surroundings. For those who want the practice and a chance to see and do some amazing things, there is an array of add-ons including cycling, trekking, massage services, sight-seeing and dining out. Primarily we will focus on the yoga! No matter what your level, you will be in safe hands. Our Vinyasa/Yin based dynamic yoga sessions will keep you feeling invigorated and transformed. You will be led by our experienced international teacher. We will start each day with a strengthening based Ashtanga/Vinyasa flow and evenings will be more calming and restorative. For those really looking for the mind, body, spirit experience: look no further. 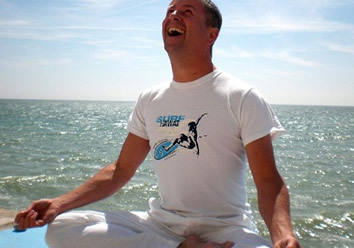 Our Gay Yoga Retreat offers the perfect solution. The exclusive Masseria we have carefully selected offers great services: its equipment features a swimming pool, bar, kitchens in all apartments, wifi and on-site massage services. We will also spend one night altogether in a traditional restaurant enjoying local food: please do let us you’re your dietary requirements so we can tailor the meals accordingly. In the evening, when the group is altogether, join us for an aperitif, alcoholic or non-alcoholic as you prefer. This will be the perfect opportunity to get to know your fellow yogis as well as your hosts Kendall and Sergio. You will also get to meet your Yoga Teacher. Remember: this is like a home for one week so please make yourself at home. Typically the days on the Gay Yoga Retreat start with an early morning session of Yoga. 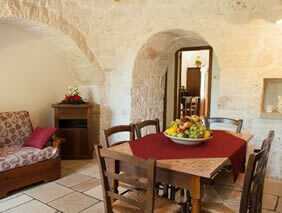 We will meet either on the rooftop overlooking the olive grove or outside in the grounds of the estate. Each yoga session will be tailored and there will be a mix of Ashtanga, Vinyasa, Power and Dynamic flow yoga. Don’t be too worried about your level, our teacher is here to help and the classes designed for everyone to progress. 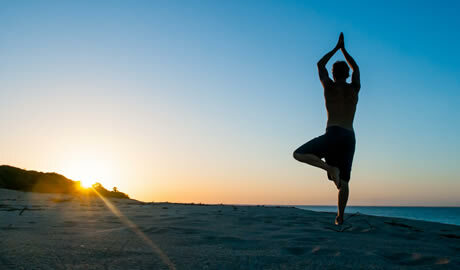 We have designed this exclusive Gay Yoga Retreat for flexibility to ensure that everyone has the best experience. After breakfast, we all say goodbye (no tears hopefully) to this Gay Yoga retreat! And hope that we see you the next time.